Lay out 4 pieces of 15”x15” parchment paper and fold in half. Extend again, dividing the paper in 2 sides. Divide ingredients in 4 parts and place them on one side of each folded parchment paper. Fold, crimping all three sides and making a vegetable pouch. Place pouches on a large baking sheet and bake for 25 minutes. Remove tray from oven. Allow to cool for 10 minutes and serve. Add pieces of fish and lemon juice to the pouch for a quick complete dinner. 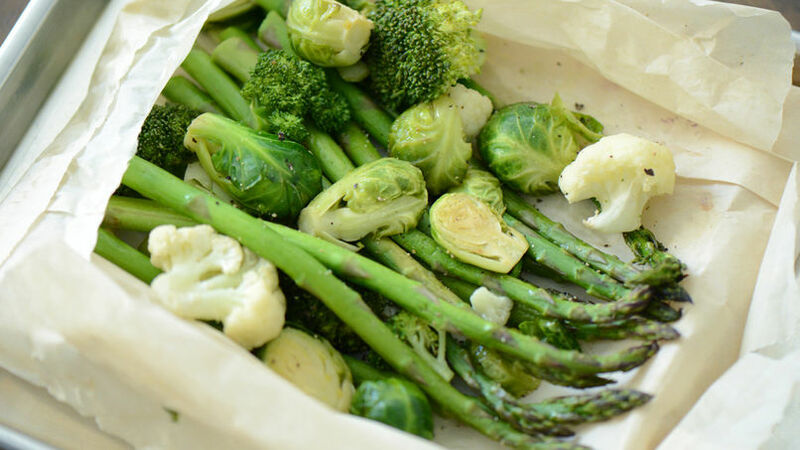 Vegetables in papillote is one the quickest and most delicious way to steam vegetables because they are already portioned in parchment paper pouches and they are easy to serve. Perfect for a family outdoor picnic or a celebratory dinner, these vegetable pouches can be customized for your guests!